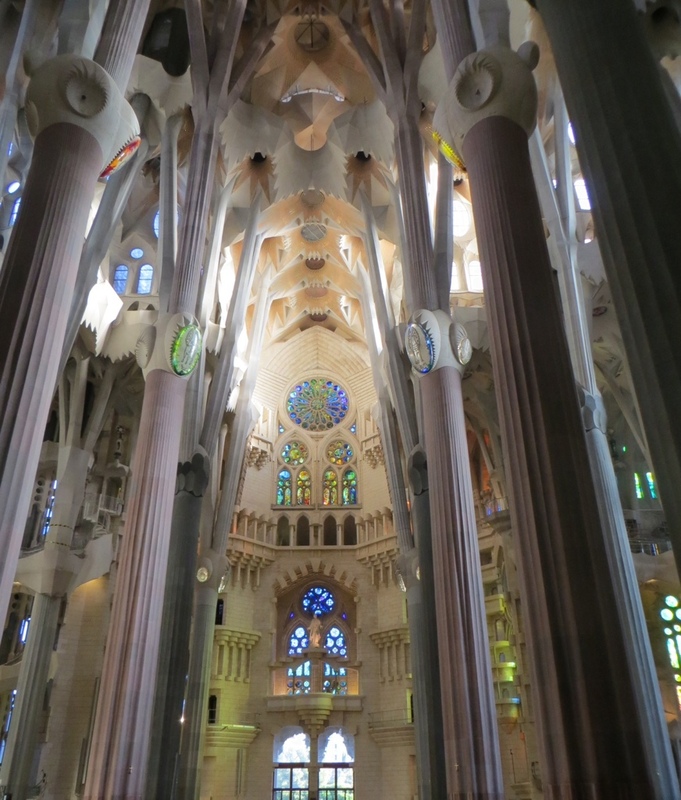 Sagrada Familia – breathtaking in its generosity of space and light. On our first morning in Barcelona we visited Sagrada Familia. I have never been so overwhelmed by a building that truly took my breath away. This church shows how generosity of space and light and attention to detail in design can create a building that I think I would describe as the most captivating space I had ever walked into. 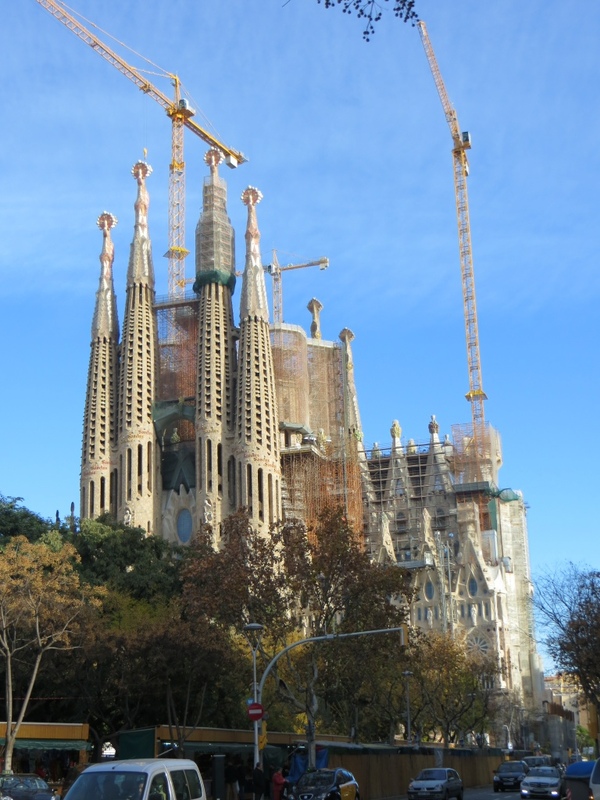 Described as a Modernista Masterpiece it is still under construction 80 years after the death of Antoni Gaudi, its creator. The construction is faithfully true to his original design. Inside this immense church it feels like a forest – treelike columns, with high branches supporting the canopy above. Natural light streams into the cavernous internal space. Gaudi paid detailed attention to every element within the space. He designed and built a school house for the children of the construction workers which has a storybook feel. As well as preserving the school room, Gaudi’s design studio has been replicated and it provides information about how the structure was designed. This was our very first morning in Barcelona. It is an amazing city. Thank you for posting this! What amazing architecture and breathtaking views!